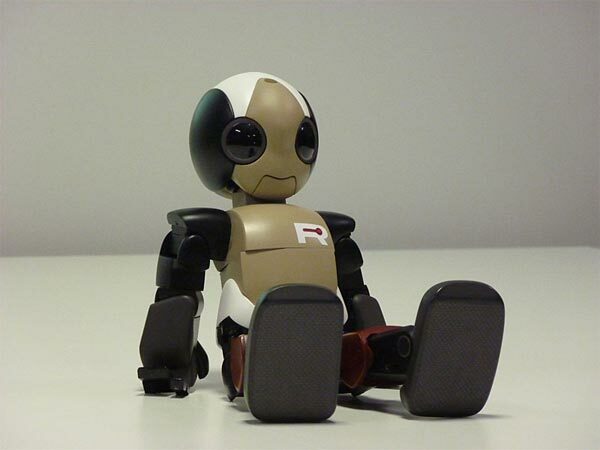 ROPID is a cool looking robot designed and developer by Tomotaka Takahashi of Robo Garage at Kyoto University, he stands 38 cm tall, and weighs in at 1,600g. This fun looking robot is capable of running and even jumping, and he can jump about 8cm off the ground, and can be controlled via voice commands, check out the video of him in action below. “Lopid (ROPID)” is a true and stable biped walking and running using a timing belt. Two-legged robot is a different power and speed that is required by the position of each leg joints. For example, to quickly and knee bending angle will work twice. The load is concentrated behind the knee joint, so he will tend to fall off balance.